When King Edward VIII abdicated the British throne and his brother, Albert, took over as King George VI in 1937, it dawned on the new King and his wife, Princess Elizabeth Lyon, that his stammer would impede his role as a King, a position that will require him to communicate directly with his subjects whenever the need arises. She sought for him the services of Leonel Logue, whose lessons immensely improved the speech condition of the initially reluctant student. The need arose two years later in 1939 when Britain joined World War II under Winston Churchill (another stammarer) and the King needed to speak to the public. His therapy was handy because he was able to deliver his proclamation speech without the impossible hindrances of before. The British public was happy to listen to their king and accept his reassurance. The signature of the broadcast over the radio was the stammer. It assured the public that it was indeed the voice of their King. Throughout the War the voice of Churchill was constantly heard and the King visited various fronts to boost the morale of his troops and build confidence of his subjects. That is what leaders do in terms of crises. Their citizens would like to hear their consoling voice, witness their empathy and see the evidence of their concern and capacity to lead in the physical appearance at scenes of the crisis. Recently, we had possibly the best example ever in the Prime Minister of New Zealand, Jacinda Ardern, after the shooting of 50 Muslim worshippers in Christchurch. She visited the scene many times, empathized with the victims, addressed her nation and assured all that justice will be done. New Zealand followed her to mourn in different ways including women of other faiths across the country wearing the headscarf. Within few weeks she successfully saw the parliament pass a law by a unanimous but one vote banning the civilian possession of military grade weapons. She won the hearts of the world by her resolve and empathy. Many nations would wish Jacinda were their leader. The thirst to feel the leader in times of crisis arose here in Nigeria in 2010 when President Yar’dua fell terminally sick. His voice from his sick bed reassured the public that he was indeed alive and awake. The rumour that he had died was dispelled and one could catch the sigh of relief among his supporters in the air. Visibility is a requirement of leadership which, sad to say, our current President fails to appreciate. We are undoubtedly in period of crisis. Our war with Boko Haram in the Northeast is far from over while in the Northwest communities across Kaduna, Katsina, Zamfara and Sokoto states are ravaged by bandits with Nigerians there killed and kidnapped on daily basis beyond the control of law enforcement agents and the military. Naturally, Nigerians were begging to hear the assurances of the President through his voice and judge his concern by his presence at the scenes as he used to do during his last campaign. If stammer signified the voice of King George and empathy defined the concern of Jacinda, silence, unfortunately, was the hallmark of our President at the turn of every crisis. In most of such trying moments, Nigerians are privileged to hear the voice of their President only when he is overseas as a guest of a foreign news channel. Otherwise, the job is left to his media aides who scribble some lines and attribute them to him when he comes under attack. Then media collaborators of different stations and channels take up the job of forcing the concoction down the throat of Nigerians. Throughout the period, the visibility of the President remains zero and he loses supporters by the day. An example is necessary. It takes long for the Preesident to say something personally. I remember his visit to Dansadau area when troops were first drafted to Zamfara. I cannot remember his voice again on Zamfara until when he visited the state during his re-election campaign where he goofed, saying: I pray for the rains, that food be abundant and the crises can continue. Then nothing on Zamfara again despite the escalation of killings there and in Birnin Gwari. His media aides did try as usual, again, though not without a costly mistake. They were silent on Zamfara but prompt on the death of Kolade Johnson. The President, they said, shares the grief of Kolade’s family and justice will be done. Instantly, so many Northerners started accusing the President of preferential treatment, calling him names, saying that only southerners matter to him, that he is silent on the hundreds that die in Zamfara but prompt to express concern on the death of a single southerner. He still kept quiet and trotted to Jordan and Dubai. Until two days ago when Kadaria Ahmed and ‘Madam Next Level’ took to the streets along with many other Nigerians. The President’s media aide issued a long statement, attributing it to the President, saying that the President said he is concerned about the killings in Zamfara. The aide even described as “ridiculous” the accusation of insensitivity on the side of the President by the protesters. Yesterday on Facebook I registered my doubt that the President indeed said anything at all. I felt he did not, both on the occasion of Kolade’s death and on Zamfara. Time has come when we should see PR statements as insufficient substitutes for the President’s visibility. We want to hear his voice and see his body out there in the heat of Birnin Gwari and Zamfara and wherever and whenever Nigerians are dying before we can believe his sufficient concern for our situation. It is not a big deal. The President can do this easily as he has proven on occasions that affect him. Let us hear him telling the bandits that they will be met with death as he once warned ballot box snatchers. Let us see his anger against the failure of officials to curb the menace as we saw it on his face when he derided the security aides of his son who was hospitalised following a bike crash two years ago. 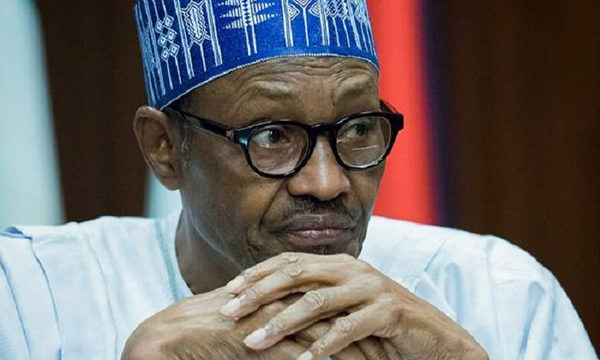 But he cannot fly to Jordan and Dubai and someone issues a long statement ‘saying that the President said that’ he has been having ‘sleepless nights’ over the killings, that…that… in a language that is not typical of His Excellency. Even a word from him, not written by his aides, on his Twitter handle will go a long way to console us. Someone in response to my humour yesterday said that I should not expect the President to personally handle his Twitter account. In which century is the President living? Or is he busier than Donald Trump? In any case, I do not read those tweets because I know they do not originate from him. Contrarily, I never doubted any tweet by Trump or El-Rufai or MA Abubakar. A single sentence from the President typed even in Hausa soliciting our understanding and assuring us that he is on top of the situation is better than the fine journalistic grammar that someone writes on his twitter handle. Like the case with Twitter, the President’s minute clip on Facebook or Youtube will help establish an organic link between him and us, the citizens. That organic link is what our President is missing by his preference to silence or third party communication. The latter can be done on some policy pronouncements, during campaigns or less challenging times as we used to do for him in The Buhari Organization before the 2003 elections. (I hope someone is not confessing here, 🤣) In the times of war, however, we need to hear his voice as the British heard their stammering King George VI; we want to feel his presence as New Zealanders and the world saw PM Jacinda Ardern recently; or, at least, read his tweets as Americans daily read the early morning and often unpresidential tweets of President Donald Trump. Nigerians are organic beings, not just electoral votes. We, therefore, demand an organic link with our President when hundreds of us are killed in Ife, Numan, Mambilla, Benue, Kajuru, Birnin Gwari or Zamfara and when many are kidnapped and pauperised across the country. Finally, that link must be linear without any interruption, interaction or intersection by anyone. We want it with PMB directly.